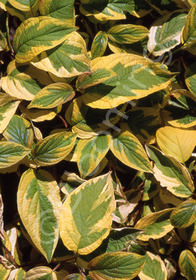 Bright, golden-yellow and green-variegated leaves contrast vividly against deep, red stems. Eye-catching every season of the year. This Northwest native cultivar is a "Great Plant Pick" for the Pacific Northwest!